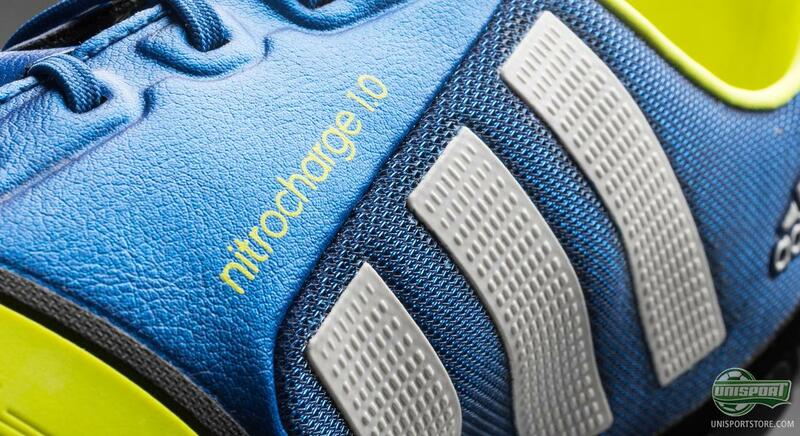 It has been underway for a while and the rumours have reached an all time high, but now it is finally time to unveil Adidas' latest creation; Nitrocharge 1.0. It is a brand new boot that will serve as the top model for a brand new boot silo, which is aimed towards the hard working player, who is his teams #TheEngine. Adidas Nitrocharge 1.0 is designed for the player, who is always first on the team sheet; the player who brings energy to the team, tackles and covers every blade of grass throughout the 90 minutes. Nitrocharge 1.0 is, in the words of Adidas, designed for #TheEngine and will join Adidas' already impressive rooster of silo's. 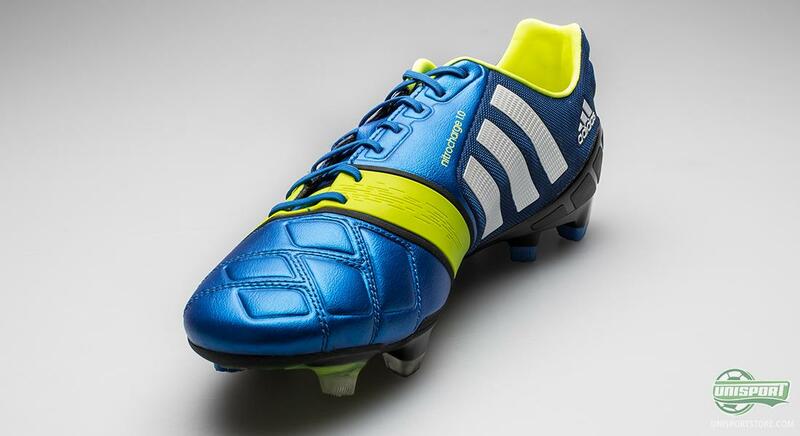 Adidas have for many years designed football boots, to accommodate certain types of players. 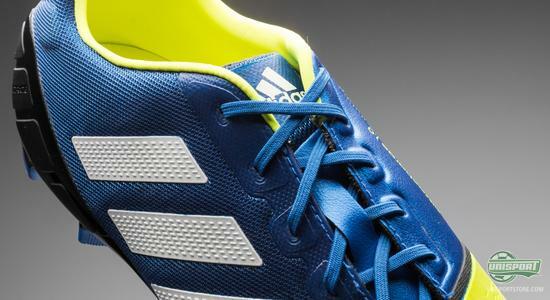 The F50 Adizero-collection is made for the player with quick feet and blistering pace. The Predator LZ-collection is designed for the controlling footballer, who, no matter what his position, is always in full control. On top of that they have the AdiPure 11Pro, which serves as an elegant and comfortable choice, for players who posses the same traits. 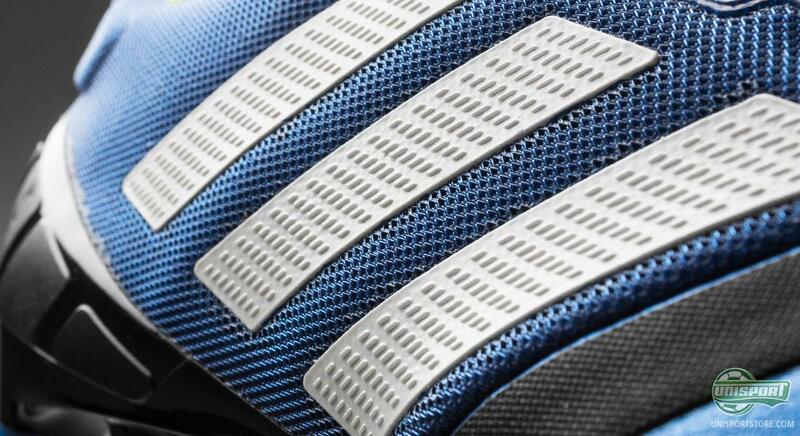 Adidas have for two years worked on designing a boot, which matches #TheEngine and now they are finally ready to release the result of all their hard work. Together with the statistics service, Opta, they have made an mathematical algorithm, which will determine what players fit the boots style the best. Here massive stars like Daniele de Rossi, Javi Martinez, Dani Alves and Ezequiel Lavezzi fall into category and they will also all be playing in the Nitrocharge 1.0. 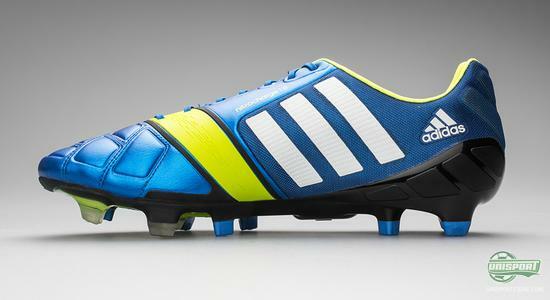 Adidas Nitrocharge 1.0 lands in a very flamboyant launchcolour, with Blue, Neon and White dominating the landscape. 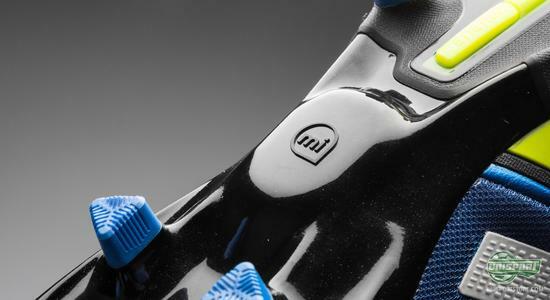 This is, however, not a colourway we are unfamiliar with, as it was also this combination of colours, which was used when launching the first ever Adipower. It definitely looks good and catches the eye brilliantly. Adidas Nitrocharge 1.0 is designed with plenty of technologies, which will give the player more energy throughout the game. 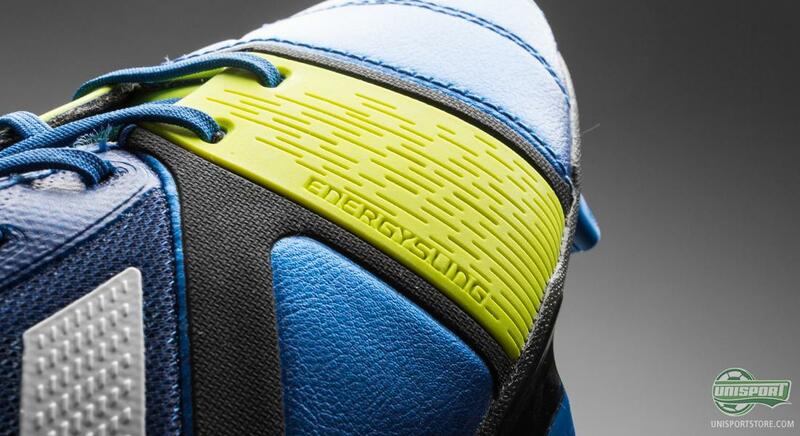 The most eye-catching feature in this bracket is the 'Energysling', which runs across the frontfoot. Its job is to lock the foot in place and support it, when you have to do quick directional changes and accelerate. This way the player can react and act quicker, all without wasting energy. As #TheEngine is also a player who enjoys tackling a lot, Adidas have also focused on protecting the foots most vulnerable areas. 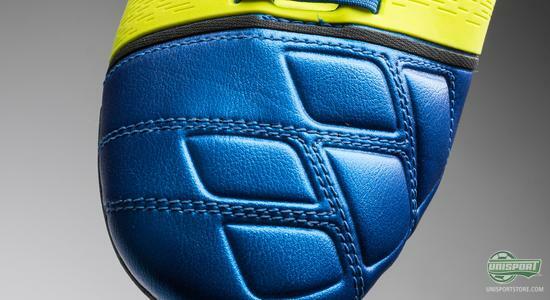 The upper material, Hybrid Touch, almost works as a protection pillow on the front foot. 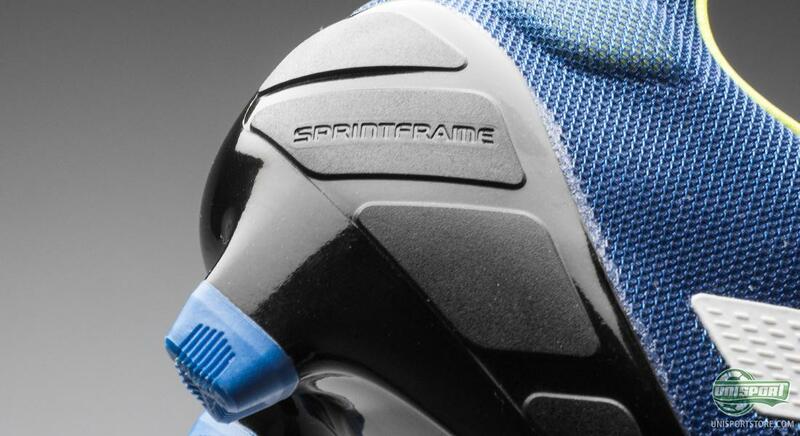 Also around heel and especially around the Achilles a lot of effort has gone into fortifying this area, with the mesh-type material. 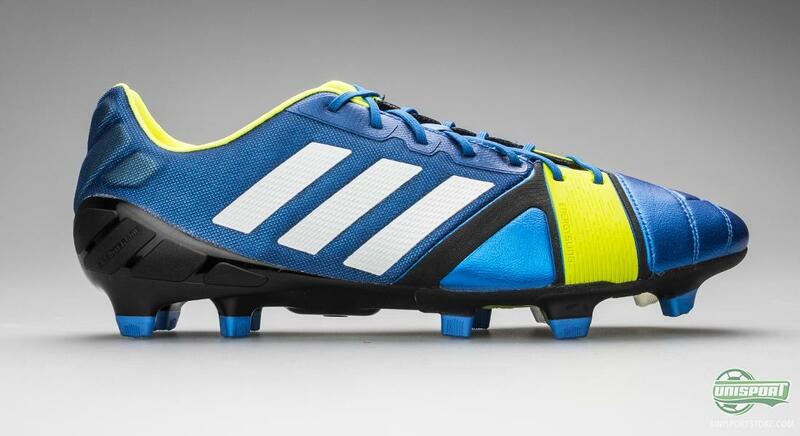 The outsole of the Nitrocharge 1.0 is based around the same Sprintframe, which is also used on the Predator, Adizero and Adipure, but it has seen one significant change. Adidas have, on the Nitrocharge, worked in their revolutionising Energypulse-technology. It almost acts like an elasticband, so your kick-off from the ground is made more powerful. The outsole is however still in essence the well known Sprintframe, which is prefered on all of Adidas' silo's. This is simply because of the extremely low weight and high flexibility. 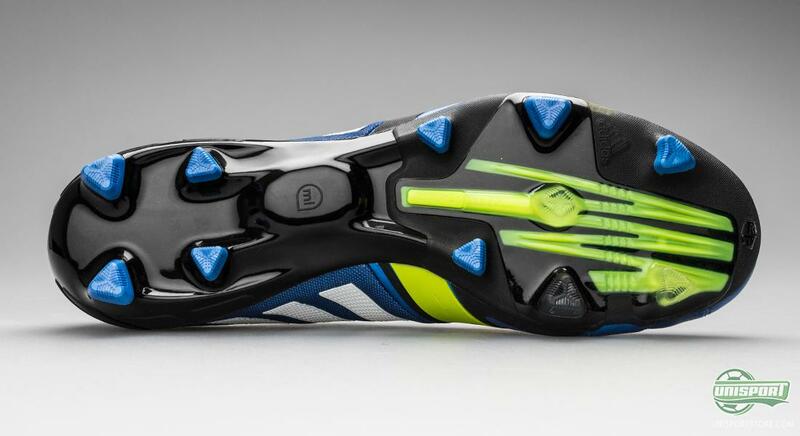 The stud-configuration is also the same, as the one we know and love from the Predator, Adizero and AdiPure, as it is also the Traxion 2.0-system. 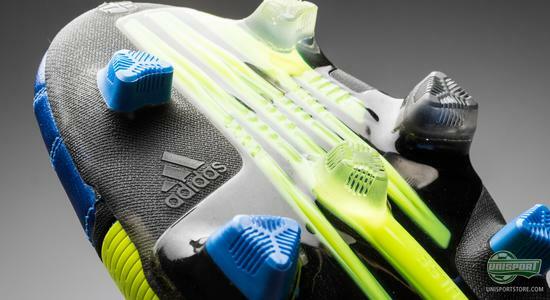 Naturally Adidas have also found room for the MiCoach on the new Nitrocharge 1.0, as the outsole has been equipped with a hollowed out shell underneath. When it is activated it will measure and collect your data from games and training sessions; your total number of sprints, top speed, average speed, distance covered and much more. It gives you a chance to see where you need to improve and also lets you compete with your friends. 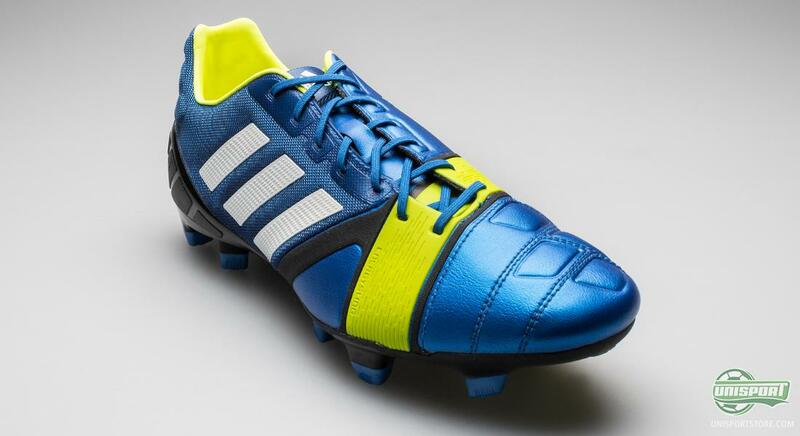 It has been anticipated greatly, missed sorely and requested ceaselessly, but now it is finally a reality, the Nitrocharge will be available for purchase soon. What do you say to the new boot? Is it something you like? Let us know in the comment-section down below and remember you can also share your thoughts with us on Facebook and Twitter.